If you were injured on the job you are probably frustrated about the situation. Anyone who is unable to work, or unable to fully perform their job because of an injury at work will typically be frustrated, it’s natural. If this injury is stopping you from getting your regular amount of pay you are probably wondering how you are going to provide for yourself or your family. 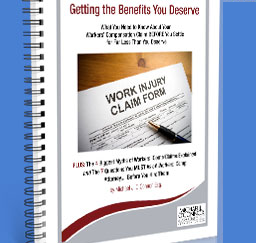 Our Workers’ Compensation Specialists can help you. We can help you recover your lost income and get you back on track so you can focus on recovering. We are available 24 hours a day to help. Talk to one of our live chat representatives or call us at 1-800-518-4529 for a no cost, no obligation case review. The workers’ compensation system in Pennsylvania is one of the best in the country in terms of helping injured workers, but it is very complicated and confusing. You may love your company or hate it, but their insurance carrier is not your friend. They will try to take care of your situation as cheaply as they can. You need someone who is caring but aggressive and experienced in handling these claims. We have been helping injured workers for over 25 years. Who do you want on your side? There are two types of lost wages that you can recover after you are injured at work. The type depends on how bad your injury is, and if your company has other work for you to do that does not violate your restrictions. If your injuries are bad enough that you cannot do your normal job, but not so severe that you cannot work at all, you may get partial disability. Many companies will offer you “light duty” work that does not violate your physical restrictions that your doctor will give you. Often this light duty will include office work, or light physical work. Unfortunately this work will usually not pay as well as your normal job had. Because of this there are partial disability payments which will allow you to collect 2/3 of the difference between the two wages. To explain, if your normal work paid you $1000 per week, and your new light duty work pays you $400 per week, you could receive an additional $400 per week of partial disability payments. This is allowed to continue for 500 weeks. If your injuries are severe enough that your doctor supports the fact that you cannot work, you can collect workers’ compensation for your lost wages. Unfortunately this will not be the total amount of money you had been making prior to the injury. You will collect a percentage of your normal pay each week. The percentage is based on how much you make per week. The insurance company will look at the year prior to your injury, divide it into four 13 week periods, drop the lowest quarter, then calculate a weekly rate from that number. This is good for workers who do a lot of overtime during certain parts of the year. The amounts in 2015 are anywhere from 90% of your wage if you were in the lowest income bracket, to a maximum of $951 for the highest income bracket. If you have other sources of income, such as unemployment compensation or a pension, you may receive less of your weekly pay than you would if your job was your only source of income. It is also important to know that you will not receive a cost of living adjustment while you are on workers’ compensation. Your payments will stay the same for as long as you are on compensation.